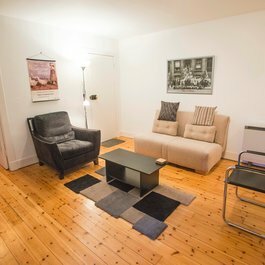 For those on holiday in our Edinburgh apartments, it's a great way to see the city. So, here's our guide to the best walking tours of Edinburgh. Most of these tours should be booked in advance to guarantee a space. Please check their websites for details of operating times, meeting points and ticket prices. Stroll Through Time is a lovely tour, not just for first time visitors to the city but also for locals who would enjoy finding out more about the city they call home. Your guide Martin will take you along parts of the Royal Mile and Grassmarket, following in the footsteps of his favourite characters. Discovering its history and stopping at interesting landmarks along the way. If you're looking for Edinburgh ghost tours, we recommend the scarily good Mercat Tours. With several tours of the city's streets and underground vaults, choose from 'Doomed, Dead and Buried', 'Ghostly Underground' and 'Hidden and Haunted'. They also have a special kids' tour for ages 5 and over. With a focus on Edinburgh's magnificent architecture, Cobble Tales will show you some of the most beautiful buildings in Edinburgh. Learn how the city was first built up, from the ancient Old Town to the Georgian New Town. These walking tours range from 2 to 5 hours in length, giving you a fascinating insight into spectacular buildings, monuments, streets and alleyways. One for the Potter heads. Explore the locations that inspired JK Rowling's magical stories. The Potter Trail visits the cafe where Rowling sat and wrote, the street that may be the real Diagon Alley, the grave of a certain Dark Lord, and much more. Head to South Queensferry for a tour of this ancient Royal burgh in the north of Edinburgh. Beside the iconic Forth Bridges, you'll visit historical sites and hear tales of wartime, witchcraft, rituals and royals. Forth Bridges Walking Tours 'Royal Tour' will take you up close to the Forth Bridges, into the Queensferry Museum and to the garden of the 15th Century Priory Church. That's our pick of the best walking tours of Edinburgh. 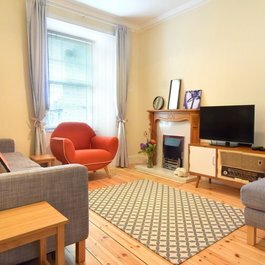 And if you're still looking for a comfortable place to rest after strolling through the streets of Edinburgh, why not book one of stylish holiday lets? Please contact us if you need any help or advice in finding a place to stay.